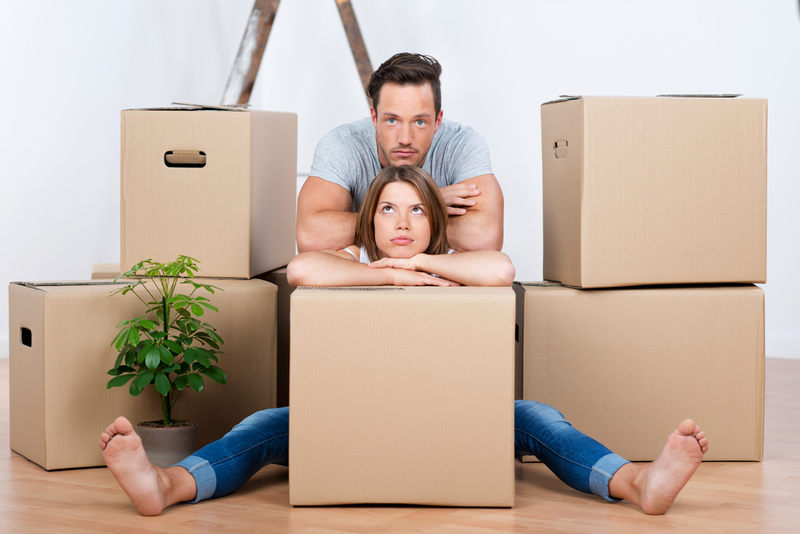 Most people do hire removals when they are moving home or office, however some people may decide to move without them. If you have or know somebody that has access to a large van you may decide to move without the help of professional home removals company, this is fine but moving entails a lot more than simply accessing a van to load all of your contents into, moving requires lots of effort to load that van and plenty of helping hands will have to be available to make it happen. If you have very little help, it may not be the best route to take. We must also consider the way in which the van is loaded, it cannot simply be a case of throw it all in and off you go, if the van is not loaded correctly it could be catastrophic for your household goods, things could end up broken, smashed and squashed. Removals men hired from a company have the added benefits of knowing how to load correctly in order to reduce risks of such situations occurring so if you are going it alone, be careful how you load up the van. Removals is no quick and easy process, it’s very time consuming and if very little experience at removals is known, it could take a very long time to complete the job. Professional removals will undoubtedly do a much quicker job because of having the added benefits of knowledge and experience, many removals firms will have moved people plenty of times before they come to move you and this valuable experience helps them to know how best to do things and how to do them much quicker. If time is already limited it may be your best option! You will need a very large van, otherwise be prepared to make lots and lots of journeys costing you more in fuel and taking much longer. Most removal companies offer a van large enough to do it all in one or two journeys at most. Do you have the strength to lift all of the heavy furniture you own in one day?, sometime trying to shift a sofa or washing machine on its own is strenuous enough but can you imagine having to do all of that and so much more in just one day? That’s tough! If you decide to hire removals, at least you won’t have to! To save time and prevent damage things will need to be done in the right order; do you know what to put into the van first and what to put in last? Removals firms know how best to do things to prevent damage, or at least reduce risk, and how to save time by arranging to do jobs in specific order. We have only just touched the surface when it comes to how helpful removals can be, aside from what we have noted above removals have many other great reasons to be hired and all can be really helpful and beneficial. Things such as their very handy packing service is ideal, removals will offer a free quote for this service and they will supply all of the packaging to pack up a home to move, along with very useful and trained packers to do the work with you, what is also great about using a packing service is that is often comes with free insurance too, bonus! Can You Afford To Live Without Home Security?